A marketer’s job is to create stories that tie back to the company’s overall mission. Ideas must be constant and ready to go at moment’s notice. Not all ideas are great, however. Truly effective ideas take time and effort. Think about entertainment. From newspapers, to radio, to TV, to VHS tapes, to DVDs, to streaming - formats have progressed over the years. 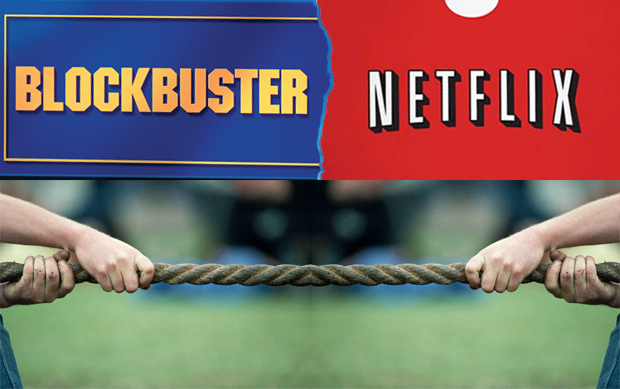 The failure of Blockbuster, in fact, sparked the growth of the successful streaming service, Netflix. Instead of instantly settling for the first idea, innovators adapt and challenge current ideas to create more productive and efficient products. The creators of Netflix, for example, saw the trend emerging that DVDs via mail would soon give way to streaming as broadband became more prolific. They took advantage of the situation to grow a small idea into a booming company. Growing and implementing ideas is challenging. But once the initial thought is born marketers should innovate, map, and execute the idea. Look around at the current market’s needs and assess whether or not there needs to be a change. If so, brainstorm for inspiration. Never execute the first thought but always think deeper and deeper. Observe what the competition is and is not doing - is there anything they are missing? There are two stories about the origin of Netflix. One, from the founder Reed Hastings, claims that Blockbuster charged him $40 for Apollo 13, which apparently sparked the idea for an affordable DVD delivery service. Hastings observed his surroundings and saw a failing system, researched the market and discovered zero competition in the DVD delivery industry, and began innovating his idea. In order to make an idea a success, the creator needs to invest time and energy into the creation. Only the creator knows every detail of their own idea, so they need to be able to believe in themselves enough to sell it. Be sure the idea is on the right track. If it has nothing to do with the business or company mission, scratch it. The business model should reflect the values of the company and bring value to the constituents. Have clearly defined values that are consistently communicated throughout the team and ultimately connect to the company’s purpose. Netflix’s purpose, for example, is to provide a “global internet TV network offering movies and TV series commercial-free, with unlimited viewing on any internet-connected screen for an affordable, no-commitment monthly fee.” With every business action, new idea, or partnership, Netflix works to honor this. Nothing is accomplished well without a plan. An idea can only come to fruition if the mission is clear and the team is on board. Planning is what turns an idea from a thought to an action. After thoroughly brainstorming with the team, define a focused strategy including detailed insights and objectives. Set specific dates and deadlines in order to keep the team on track, align priorities, set objectives every step of the way, and achieve goals on time. Detail measurements of success so when the idea/campaign is completed, can quantitatively show if it was effective. Set contingency plans in case of failure. When executing ideas, there are risks and not everything will go according to plan. Know the strengths and weaknesses of the idea and how to overcome unanticipated obstacles when encountered. Form connections and partnerships because implementing an idea is not a solo job. Marc Rudolph was Reed Hasting's partner throughout the founding of Netflix. The company formed partnerships with companies like Sony, Toshiba, Apple, and AllMovie guides through the years to advance, becoming more competitive and valuable to customers. Thinking in advance from the very beginning, they formed necessary partnerships with Sony and Toshiba DVD players, buyers of Pioneer DVD players and select Hewlett-Packard and Apple computer models, and even All-Movie Guide, which was an online search service directing people to Netflix’s website. AgencySparks has multiple whiteboards around the office to keep track of and map out KPI goals, calendar meetings, and creative ideas. Above all, always inform the team. 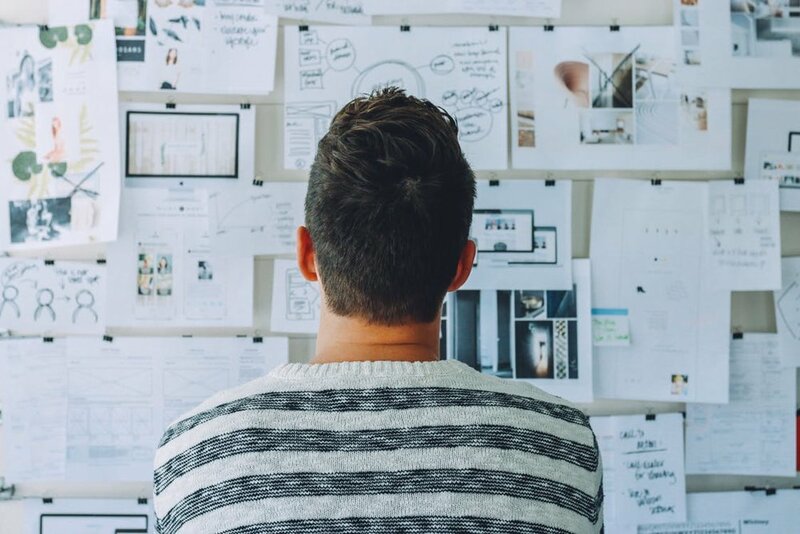 Provide the team with a structured marketing brief outline so that they can easily understand the goal, process, and every detail. AgencySparks offers a free template here. Assign and orchestrate the work so that there is no idle time. The team should be accountable and trained to execute the idea on their own. Continually encourage creativity in the office because new ideas cannot flourish without it. After all the work plotting and planning, make the idea happen! Patience throughout in needed because success is not instant and stay alert in case of unexpected occurrences. Measure success and constantly adapt the plan throughout. Soon enough, you may have your very own Netflix-like success - dominating their industry and inspiring competitors to step up their game. No matter what, just believe in yourself and your idea and you may surprise yourself along the way.